I got whipped as a kid. I remember laying face down on the floor or the bed waiting for my father’s belt or bamboo stick to send a surge of pure pain through my body. I know that this would sound wrong or even gruesome to people from the Western hemisphere, but I’m an Asian. This is normal for us. Now, I’m not saying that my parents raised me wrong. I know they did the best that they knew how. What I’m trying to say is that discipline isn’t all about going straight to spanking because of the fear of potentially spoiling your kid. The second part of this verse is as important as the first one. 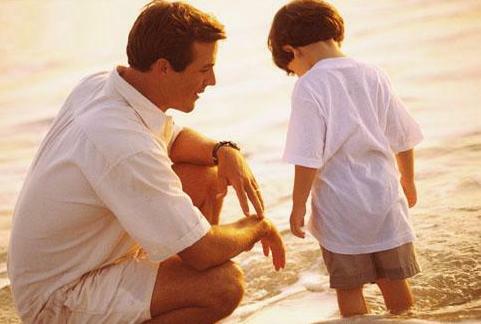 Parents who love their children should be careful in disciplining them. got whipped and still turned out to be spoiled. There are a couple of times when I remembered the spanking itself more than the reason why I got punished. That defeats the purpose of discipline. I know I’m not a parent yet, so my perspective is still more from the kid’s point-of-view. That’s right. That’s the reason why I’m writing this down. I’m writing it so that I won’t forget how it is to be on the receiving end of the stick. Here’s my warnings on spanking children. 1. Never spank kids when you’re angry. It’s easy to grab anything and hit your kid right there and then at the scene of the crime, but resist that temptation. Walk away. Make sure that you whip them out of love and not anger. I still very distinctly remember my father’s angry face. Having that ingrained in my memory made it hard for me to picture him as a loving dad. He just couldn’t be the same person as my punisher. 2. Never spank kids because you’re ashamed of them. Hearing that you’re ashamed of what they did is even worse than spanking. There’s no need to reinforce that point by physical pain. In fact, you’re NEVER EVER supposed to let your kids know that you’re ashamed of them. As an Asian, I got whipped a lot of times because of this reason. If I brought shame to our name by behaving badly in public, I expect to be punished as soon as we get home. And when I did, I knew that I was punished because of the shame and not the deed itself. Eventually, I learned that The important thing to correct is not the act of sin itself, but the location of where I committed that sin. It’s okay to disobey, just don’t do it in public. That’s more messed up. 3. Never spank kids more than they deserve. Set a Spank Meter. Have your kids join you in the process of writing it down, if you want to. Set a limit, then follow that limit. This will keep you from unnecessarily following through to prove your point. I have witnessed parents spank their kids “until they learn their mistake” and watch as the kids take away nothing else from the experience except, “my mom doesn’t love me.” Don’t let your kid lose their focus on the sin that they committed. Spanking them too much will turn you into the source of the negative reinforcement instead of what they did wrong. If you do, they’ll prove you right.